1. Don’t drag your feet. Rather than postponing the date or holding off on meeting for a few weeks, schedule a get-together as close to the initial fix-up as possible. “The longer you have to exchange digital communication, the longer you’ll have to create a fantasy that this date will be the perfect mate,” says author and relationship expert Dr. Wendy Walsh. 3. Ask your matchmaker for details. Don’t hesitate to ask the friend who set you up for intel about your date. If you’re lucky, you can get an idea of what type of guy he is and what type of girls he’s dated in the past. Plus, you can identify a few common interests to keep in mind when conversation grows quiet. 4. Dress like a lady. Since a blind date eliminates the usual pre-dating process, it’s particularly imperative that you make a great first impression. When he first lays eyes on you, he won’t be seeing your charming personality or quick wit. He’ll only be noticing what you’re wearing, so keep it classy. Save your distress (but very trendy) jean jacket or fanciful headband for next time. 5. Come prepared. As Dr. Walsh explains, “In these days of gender equality, it’s perfectly acceptable to bring your own car and your own money to a blind date.” It’s also the best way to keep yourself safe, as you want to have an easy exit strategy in case you feel threatened or in danger. 6. Be your best self. “You could be auditioning for the most important role of your life: being the companion to an incredible person,” reminds online dating expert Julie Spira. If you’re the right match for your date, you won’t need to lie about who you are or even try to impress him. He’ll like you for you. 8. Keep the conversation light. “Just because you know someone in common doesn’t mean you need to kiss-and-tell or spend the entire date talking about your past history,” cautions Spira. “Ration your information flow.” Sticking to surface-level topics will also keep him wanting more — you can tackle the heavier stuff on a fourth or fifth date. 10. Be honest. At the end of the date, tell the truth when it comes to your feelings. There’s no reason to string someone along if you have no interest in seeing him again. If you’d love to get together again, don’t be shy! No matter what, be gracious as you say goodbye and know that there’s someone out there for you, even if this guy’s not The One. For more information on Dr. Wendy Walsh and Julie Spira, please visit DatingAdvice.com. 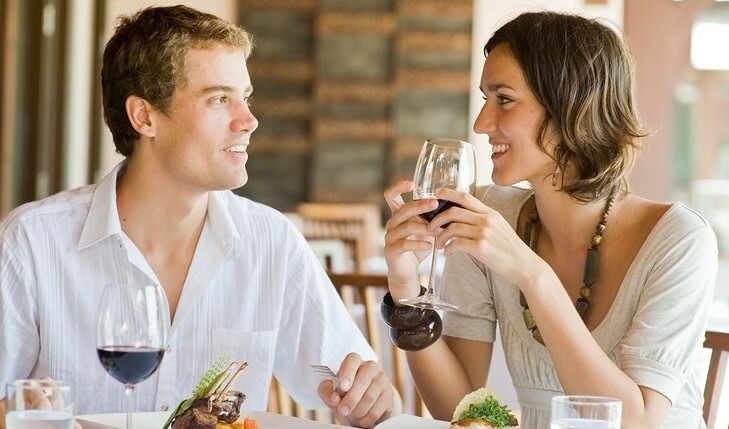 Tell us: What’s your number one rule for a blind date?